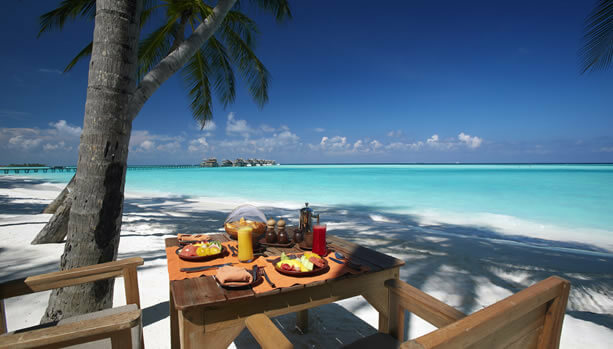 Indulge and recharge before your bundle of joy arrives and have that Maldives babymoon bliss at Gili Lankanfushi. 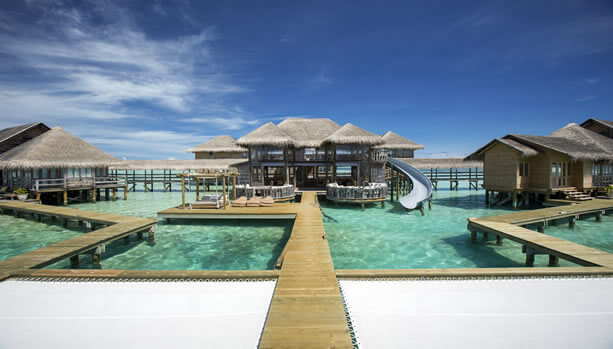 Our sister BabyMoon® Travel proudly partners with the exclusive over-water retreat Gili Lankanfushi. 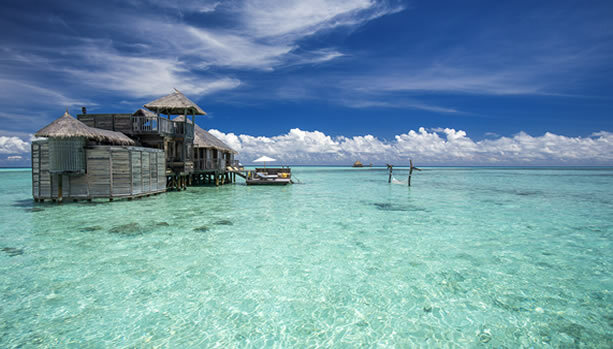 Gili Lankanfushi is just a stone’s throw from Malé airport, a 20-minute speedboat ride from Malé. 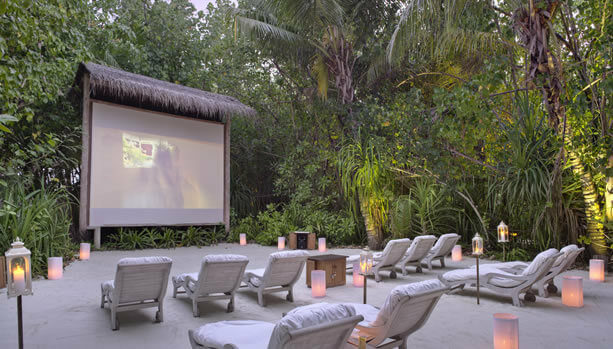 Gili Lankanfushi is an intimate and sustainable island paradise existing in harmony with the natural surroundings. The 45 villas — all overwater — provide a secluded retreat from the world, with a rustic design aesthetic which belies the luxurious open-air living spaces, roof terraces and decks leading directly into the lagoon below. Emphasising the connection between the land and sea, glass floor panels offer a glimpse of the corals blooming below, whilst rooftop daybeds can be made up with luxurious linens for an atmospheric night spent sleeping beneath the stars. 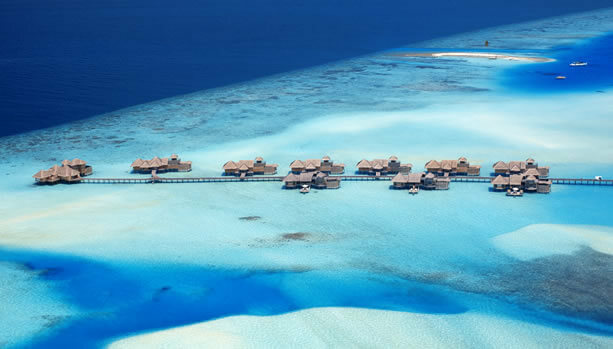 The 1,700m2 Private Reserve — the largest overwater villa in the world — is located 500m from the main island for ultimate seclusion and offers four vast bedrooms in addition to a private open-air cinema, spoiling spa, air-conditioned gymnasium, infinity pool and two-storey waterslide, directly into the lagoon. 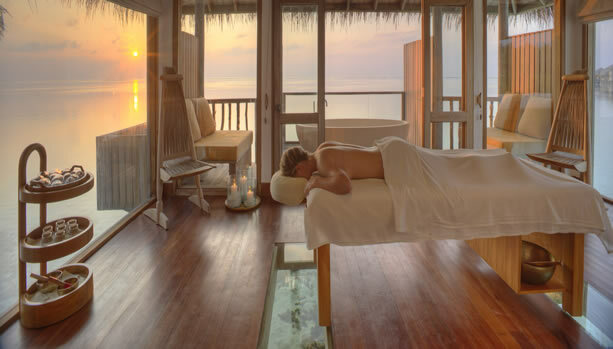 The overwater Meera Spa — meaning ‘ocean’ in Sanskrit — is a mecca of wellness, offering holistic healing and pampering spa treatments in a serene setting. Treatment rooms feature glass floors so guests can watch fish drifting by amongst the coral as their worldly woes are pummelled away by the spa’s team of expert therapists. Guests can reconnect with nature through complimentary daily yoga classes at sunrise in the beachside yoga champa.